Scatter plots show many points plotted in the Cartesian plane. Each point represents the values of two variables. One variable is chosen in the horizontal axis and another in the vertical axis. The simple R scatter plot is created using the plot() function. x is the data set whose values are the horizontal coordinates. y is the data set whose values are the vertical coordinates. main is the tile of the graph. xlab is the label in the horizontal axis. ylab is the label in the vertical axis. xlim is the limits of the values of x used for plotting. ylim is the limits of the values of y used for plotting. 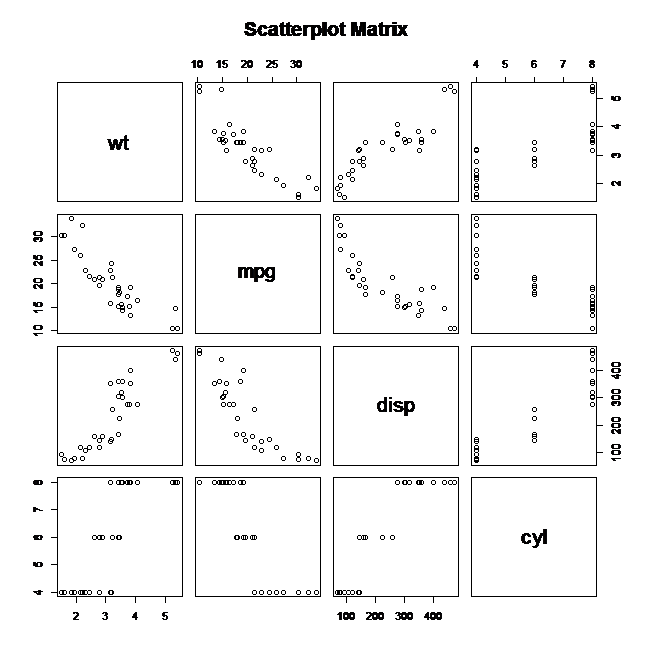 axes indicates whether both axes should be drawn on the plot. 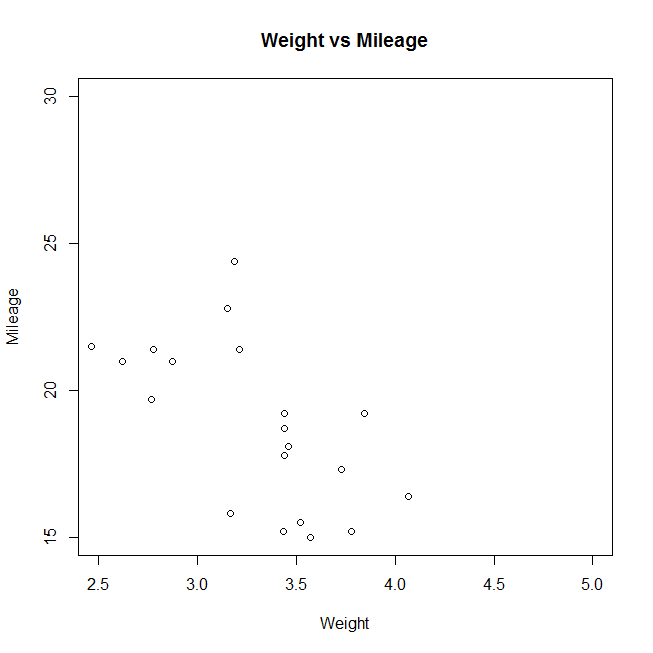 We use the data set “mtcars” available in the R environment to create a basic scatter plot. Let’s use the columns “wt” and “mpg” in mtcars. formula represents the series of variables used in pairs. data represents the data set from which the variables will be taken. # scatter plot matrix in R - 4 variables is plotted against each other.